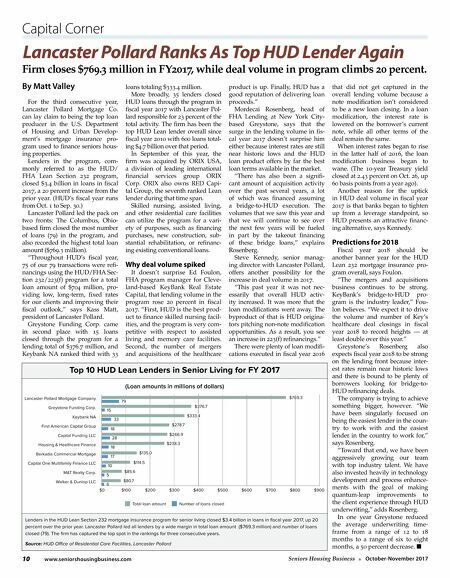 Is Senior Housing compliance a hot-button for you? Assuming your communities are compliant is risky—they may have been ADA compliant when first built, but improvements and updates have likely changed this status. How can you be sure? 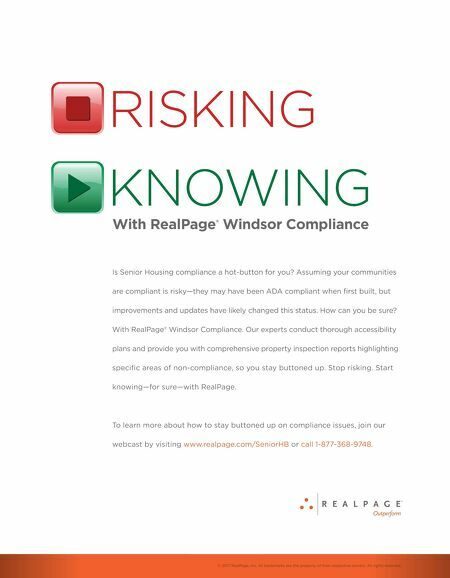 With RealPage® Windsor Compliance. Our experts conduct thorough accessibility plans and provide you with comprehensive property inspection reports highlighting specific areas of non-compliance, so you stay buttoned up. Stop risking. Start knowing—for sure—with RealPage. To learn more about how to stay buttoned up on compliance issues, join our webcast by visiting www.realpage.com/SeniorHB or call 1-877-368-9748. With RealPage ® Windsor Compliance © 2017 RealPage, Inc. All trademarks are the property of their respective owners. All rights reserved.